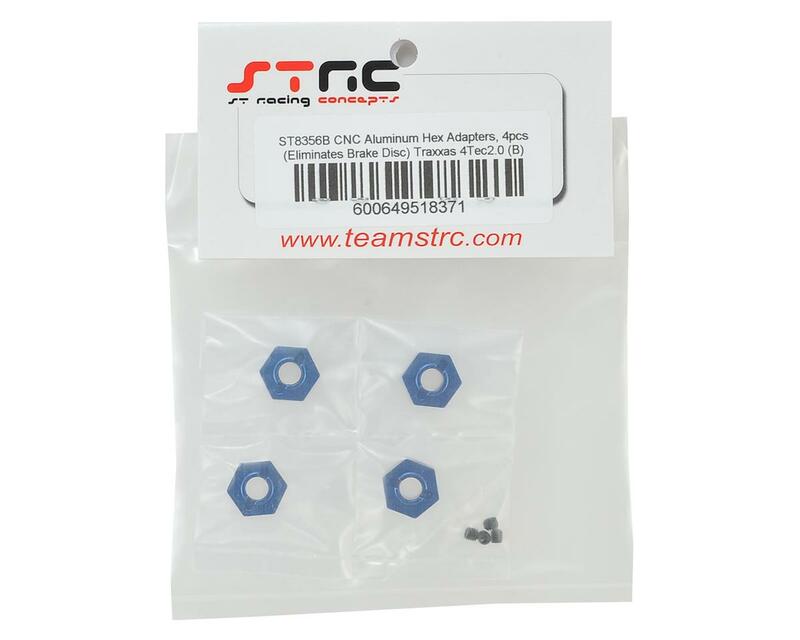 STRC Traxxas 4Tec 2.0 Aluminum Hex Adapters allows you to securely mount your wheels with no chance of the adapters being rounded off under heavy torque and power loads. Set screws on the hex adapters securely hold them in place on the stock axles. 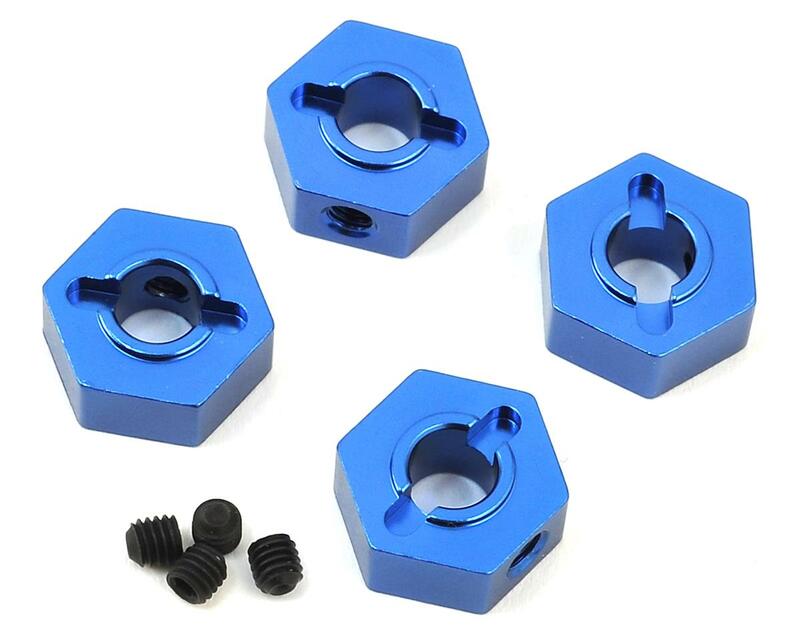 These parts are CNC machined from high quality aluminum and anodized for durability and good looks. Package includes four hex adapters and set screws.